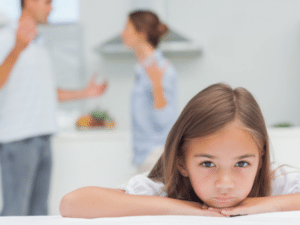 In the past, when a couple with children got divorced, one parent (the non-custodial parent) would be made to pay child support to the custodial parent. But in 2016, Illinois changed its divorce law to exclude titles like “custodial” and “non-custodial.” Instead there is only “parental responsibilities” and also “parenting time,” which get divvied up between the two parents. At this time, Illinois law still requires the parent with less parenting time to pay child support to the primary caregiver, but that’s all about to change in July 2017. The current system is outdated in that it presupposes a household in which one parent earns the family income and the other parent stays home to raise the children. While many families do still operate this way, an increasing number of families have two parents who work outside the home and the Illinois Legislature recently passed a new law that takes into account these changes. Rather than ordering one parent to pay a certain percentage of their income based on the number of children being supported, the new law orders the courts to determine how much it costs to raise a child depending on the combined net incomes of the parents. Based on this figure, the Court then decides what each parent must pay toward the cost to raise the child, allocating their responsibility based on his or her income. For example, let’s assume that based on the parents’ net income, the Court determines that the cost to raise a child is $2,000.00 per month. Husband makes 70% of the household income and Wife makes 30% of the household income. Wife also has primary parenting time with the children. Husband may be looking at paying $1,400 per month of this $2,000 cost, and the Wife would be paying $600. Once you offset these amounts, Husband’s direct contribution to Wife would be $800.00 per month. As referenced above, the new law also takes into account how much time each parent spends with the children. If the parents share 50-50 parenting time, or one parent has at least 40% of the time with the children, the new guidelines may not apply, and the Court will have to determine a proper child support figure. Although that last provision was no doubt created with the best of intentions, it may have some unintended consequences. One or both parents might try to spend at least 40-50% of the time with the children, at least on paper, as a way of avoiding paying extra child support, rather than because such an arrangement would be best for the children. A parent may likewise argue that the other parent should not get to spend that much time with the children because they want more child support, without taking their children’s best interests into account. If both parents start fighting to have the children for a minimum of 40% of the time (or approximately 146 nights each year), a judge may have to step in and determine whether the parents are acting in their own financial interests or the wellbeing of their children. If one parent is voluntarily unemployed or underemployed, the court will assume their income is 75% of the current U.S. Department of Health and Human Services Federal Poverty Guidelines for an individual. If that’s case, they will be required to pay a minimum child support obligation of $40 each month. The new law will go into effect on July 1, 2017, so there’s still time to prepare for these changes. The attorneys at Sherer Law Offices have been providing legal representation for divorce cases for more than 20 years. Our experienced divorce attorneys will take the time to really listen to your unique situation so that they can plan strategies that can best protect your best interests.